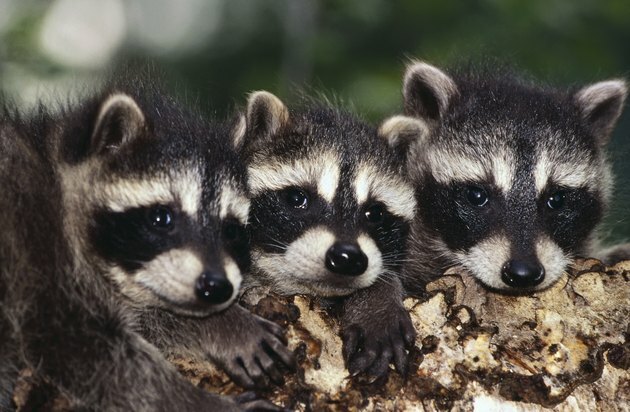 Mother raccoons can have up to eight babies. But a litter of two to four is more common. The mother will move the entire family one by one if she feels threatened or in danger. Raccoons are nocturnal animals, so the mother will be looking for food and water at night. 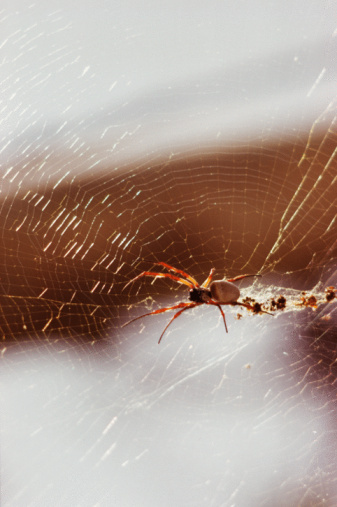 If she and her babies are nesting near or in your home, the nighttime foraging can become a disturbance. They are not small animals, so they can bring a lot of noise and damage to your home. Dealing with baby raccoons is a different than dealing with a full-grown raccoon. Trap the mother raccoon. If you try to remove the baby raccoons with the mother around, it can be very dangerous. All you have to do is bait a trap and place it where you have spotted the raccoons living. Check with your local ordinances to see if trapping where you live is legal. Raccoon traps are sold on many websites. Wear heavy gloves and get a towel. Using the towel, gently pick up the baby raccoons one by one and place them into a box. Before you put the babies inside the box, make sure you have lined the box with something soft like a clean T-shirt. Place a lid over the box. Make sure the lid has air holes. Place a rubber band around the entire box. This will keep the lid on. Contact a wildlife rehabilitation center or local Humane Society. It is important to have a professional take the raccoons. They will know where and how to relocate the baby raccoons as well as the mother. Contact a professional to catch the baby raccoons if you do not feel you can do this on your own. A professional can take care of the matter quickly and efficiently. Christine Daniels began writing and editing in the early '90s. She has edited memoirs, secondary school curriculum, technical software documentation and articles for eHow. Daniels writes on a variety of topics, including health, history and parenting.